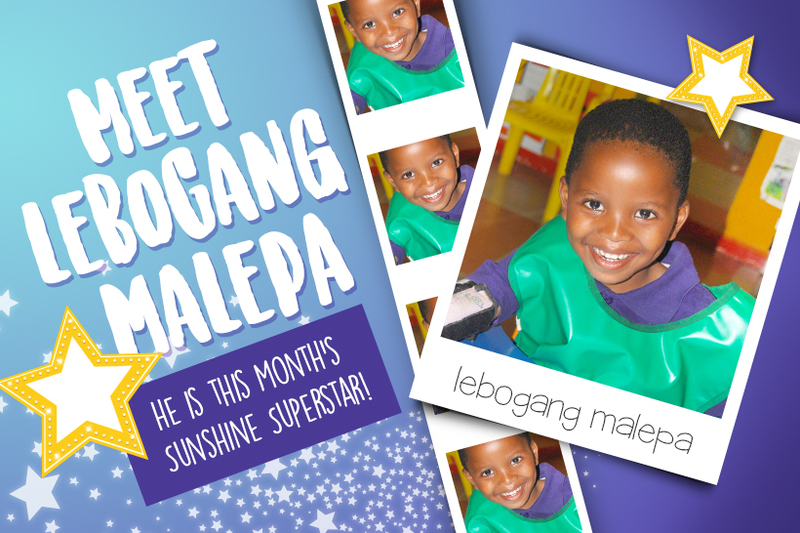 Lebogang Malepa is a six-year-old boy who joined our Eldorado Park Early Intervention Centre in 2015. When he started he was not able to use his right hand and could not participate during the table-top activities. Lebo found it very difficult to play with toys using his right hand. His teacher, in consultation with the therapists, set a developmental goal for him, where he was introduced to different textures to boost hand function. He was encouraged to use one hand at a time, therefore making sure his right hand was stimulated. Splints are currently being used to support his right hand and he is able to use that hand to hold a cup and feed himself using an adapted spoon. Lebo can also pull his trousers up and down without any assistance. We look forward to seeing more development from him. Well done Lebo! Our incredible staff and children continue to inspire us every day. Speak to us today to learn more about our Sunshine Superstars and let us help your child become one of them.